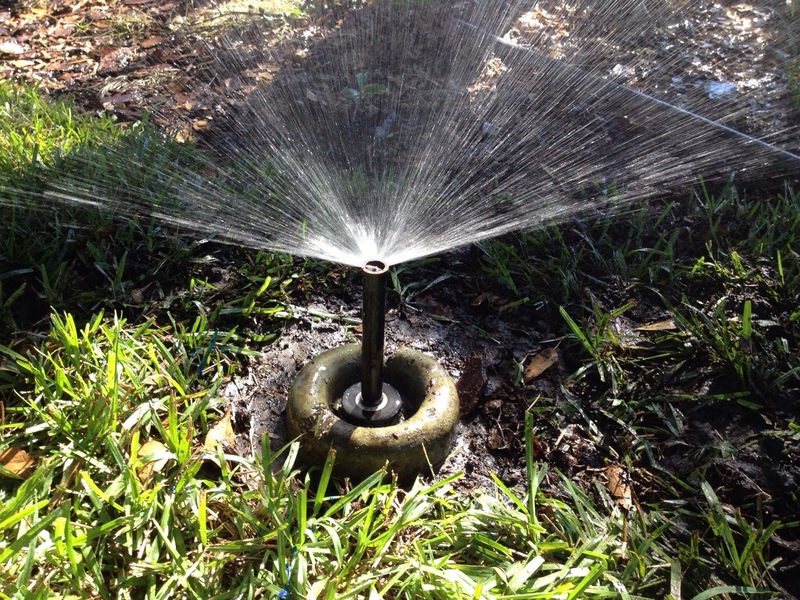 Sprinkler repair in Fishhawk. Replaced 4in with 6in pop-up spray heads. It’s a good idea to go ahead and replace your old worn out 4in pop-up sprinkler heads with 6 in pop-up sprinkler heads. They cost a little more but you won’t have to raise the sprinkler head nearly as often. In the long run the 6in pop ups will save you money. Add a doughnut to protect the head from lawn mower and car tires. Keep the head clean by spot spraying round-up on the sprinkler heads once a month to keep the grass from overtaking the heads. This entry was posted in Lawn Care, Sprinkler Repair and tagged fishhawk, lawn care, pop-ups, Sprinkler repair. Bookmark the permalink.